Wells Fargo Bank's troubles for opening unauthorized accounts only seemed to get worse this past week. After enduring a humiliating grilling before the Senate Banking Committee, the too big to fail institution has now received the notification of its first major lawsuit. This past week, the Federal Reserve held off on raising interest rates while the Bank of Japan refined its easing focus. Turkey's credit rating received a serious downgrade to junk status. Italian banks have begun resorting to buying state aid guarantees for their bad loans in a desperate bid to clean up their balance sheets. 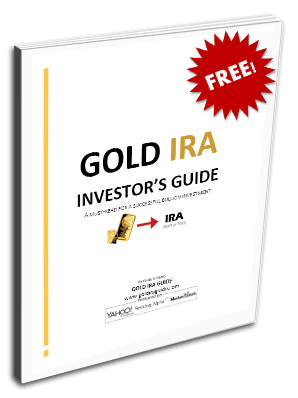 All of this news remains good reason to hold onto and possibly increase your retirement gold holdings. In the past several weeks it has emerged that Wells Fargo employees illegally opened upwards of 2 million different checking, savings, and credit card accounts in the names of their clients without asking their permission. The bank entered into a paltry settlement of $190 million with a Federal regulator and a Los Angeles government prosecutor. Wells Fargo fired around 5,300 employees who were involved in this practice which workers say was encouraged by the bank's high pressure sales quotas. Now employees who were fired for not meeting their sales quotas have come back seeking compensation. Two Wells Fargo former employees filed a California class action lawsuit looking for at least $2.6 billion for those bank staff who refused to engage in fraudulent activities like these. Over the past 10 years, many such employees were fired, made to resign, or demoted because they would not do what was necessary to hit the aggressive new account targets. Some of the class action participants are still employees of the bank. This bears watching to see if other lawsuits and penalties continue to emerge against the troubled venerable banking giant. Wells Fargo is a systemically important and too big to fail bank, so something significant will have to be done by the government regulators if it looks as if the scandal grows enough to cripple the institution. In a not so surprising move, the Federal Reserve held off on raising interest rates at their last week September meeting. The Fed seems to be split on the appropriate timing to raise rates based on conflicting opinions over the outlook for the labour market, per Friday comments from the policymakers. Eric Rosengren, the Boston Federal Reserve President, Friday argued that he believed the rates should gradually be raised now. He fears a fall in the unemployment rate to a level that is not sustainable and that might upend the U.S. economic recovery. Continued delays on the interest rates that have haunted the Fed for all of 2016 so far are bullish for gold. The yellow metal remains sensitive to higher interest rates that would increase the opportunity cost for holding it versus other assets with a yield. Rate increases also raise the value of the dollar in which gold is mostly priced. Meanwhile while the Federal Reserve continued to sit on the sidelines and kick the policy can a little farther down the road, the Bank of Japan was busy adjusting its aggressive easing policies at their meeting last week. The BOJ is desperately attempting to raise inflation rates in the country to help it escape from several decades of deflation and stagnant growth. Last week, the Japanese central bank shifted its emphasis to targeting the interest rates effective on government bonds in its latest attempt to reach its target inflation of 2 percent. They announced this after several years of enormous amounts of money printing have not succeeded in jumpstarting the Japanese economy from more than 20 years of stagnation. Today Governor Haruhiko Kuroda of the BOJ announced that they will utilize every potential policy tool to reach that inflation goal. He stated, “There is no better opportunity than now to completely get out of deflation. Talking about the limits of monetary policy does not help at all.” Japan's aggressive policies continue to boost the demand for gold, as they have for several years now. As the fallout continues from the coup attempt over the summer, Turkey's economic problems have only worsened. The impact this has on their real world public finances became evident over the weekend as Moody's credit ratings agency intervened. They cut the sovereign credit rating of Turkey to “junk” status late Friday night. This will make it harder and more expensive for the country to finance its future debt obligations. Turkey as a NATO member, ground zero for the Syrian refugee crisis, and G20 nation is an important world player whose mounting economic problems can not be safely ignored. In the latest news to emerge from the troubled Italian banking sector in Europe, Genoa based Banca Carige is considering utilizing an Italian government guarantee to help it sell around $1 billion in bad loans this year. Carige is looking to sell about $2 billion in bad loans off of its books by the conclusion of 2017. In order to be capable of qualifying for this guarantee, the bank's debt must receive a credit rating that is investment grade. The bank will have to purchase the guarantee from the Italian government on the lowest risk component of their securitized bad debts. Italy only introduced this GACS state guarantee offer earlier in the year in an effort to assist its struggling lenders to get rid of insolvent borrower loans. At over $200 billion, these represent almost 20 percent of all Italian corporate loans. This guarantee reduces the risk in the securitized loans so that the investors do not require as high returns. It helps the banks to get a higher price when they sell the bad loans. The problem has come as banks are struggling with writing these bad assets down more in order to effectively sell them. Italian banks are afraid of realizing more losses. The major test of the GACS scheme is set to come when the third biggest bank in Italy, Monte Paschi di Siena, has its record setting over $30 billion bad loan securitization deal put together. It is positive that the Italian banks are attempting to solve this substantial weakness on their balance sheets. There is some danger that the fragile Italian public finances will be further strained if their guarantees are called on to make investors whole. The trouble with the Italian banking sector is another reason to own physical gold.